Beginning the late 15th century, British and French expeditions began to explore and colonize various parts of North America, including what has become present-day Canada. The colony of New France was established very early on, claimed in 1534. Permanent settlements began to appear at the beginning of the 17th century. In 1763, France ceded almost all of its possessions in North America to the United Kingdom after their defeat in the Seven Years’ War. The new Province of Canada joined with the colonies of Nova Scotia and New Brunswick to create a self-governing entity that would eventually become the country that we know of today. Expansion continued through 1949 as Newfoundland and Labrador were added. It would not be until 1982 when the Constitution for the country was patriated, finally removing the last vestiges of legal dependence upon the British parliament. As of 2019, there are 10 provinces which make up the country, with Nunavut and Yukon dramatically reducing the size of the Northwest Territories in recent years. If you are thinking about living in Canada, then here are some of the pros and cons that you will want to consider. 1. 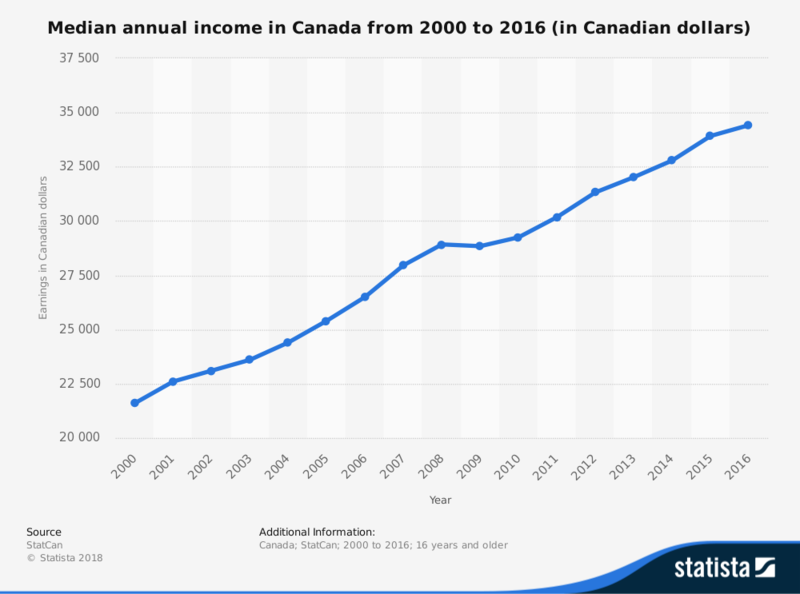 The economy of Canada is growing by leaps and bounds. Canada is already home to the 10th-largest economy in the world. It is also a nation where a free-market economy is the preference whenever possible, which means individuals have a lot of economic freedoms available to them. If you want to start a business while living here, then it is a straightforward process that can get you up and off the ground in no time at all. If you prefer more of a traditional employment opportunity, then the unemployment rate in the country is significantly lower than in other parts of the world. 2. You have access to more healthcare options in Canada. We all know that the universal healthcare system in Canada is not actually free. Each province is responsible for administering this advantage to living here, which typically costs about $5,000 per year for a single person. Families typically pay about $9,000 per household for access. This payment is comparable to what the health insurance rates are for Americans, and it is lower than what you will find in countries with comparable systems. You can go to the doctor, visit the emergency room, and receive other care benefits without the need to pay a direct fee as part of the process. 3. The overall crime levels in Canada are relatively low. Canada ranked as the 53rd highest in the world for its crime levels in 2018 with a rating of 39.03. The United States received a ranking of 55.84, which placed the country as the 30th-highest in the world for this issue. The crime rate in the U.S. is approximately 40% higher than it is in Canada. That is also the difference that you will find in opiate use between these two North American countries. Women are 16 times more likely to experience sexual assault in the U.S. compared to Canada. Because of the lower population levels, the per capita total crimes rate is actually 94% higher in Canada than in the United States. Crime levels have been steadily declining since 1991 and violent crime is rate, so overall the country is one of the safest places in the world to live today. 4. Educational opportunities in Canada are affordable and plentiful. The public-school system in Canada is similar to that of the United States, where students can enroll in K-12 without requiring a payment from parents. Attending a college or university in the country is a little higher than it is for students in Europe, but it is far cheaper to pursue an advanced degree in Canada than it is in the U.S. each year. The reason for the cost difference is that the tax subsidies for education that are present overseas are not part of the Canadian learning system. Canada is also only one of a handful of nations that appear in the Top 10 for mathematics, reading, and science. The nation also has the world’s highest proportion of working-age adults who went through higher education: 55% compared to the 35% average in the developed world. 5. Most Canadians live within 100 kilometers of the U.S. border. Over 85% of Canada’s population lives in the provinces of Ontario, Quebec, British Columbia, and Alberta. Ontarians account for 40% of the nation’s demographics on their own. Over 90% of households live within 100 kilometers of the border with the United States as well. That means there are vast swaths of open land that are still in their natural state, just waiting to be explored when you live here. The outdoor recreation opportunities are plentiful, ranging from sailing to kayaking, or fishing to skiing. There are plenty of places where you might be the only person out there too. 6. The cost of rent in Canada is much cheaper than it is in the United States. When you average the cost of rent in Canada in all cities compared to the media data supplied in the U.S., it is roughly 26% cheaper to live north of the border. Although there are some places that are more expensive than others (especially cities like Toronto and Vancouver), you can find plenty of small towns where it is very affordable to live. Even though taxes are higher to account for the healthcare needs, most households have more discretionary funds for activities, investments, or general savings. 7. You will discover a significant amount of diversity in Canada. When you begin to explore Canada, then you will discover that there is significantly more diversity found here than in other places of the world. This community structure provides added strength to the economy because there are numerous opinions and experiences that all contribute to the final decision. About 1 in 4 people who are currently living in the country are foreign-born, which adds another element of perspective to the experience as well. If you can navigate the immigration process successfully, then there is an excellent chance that you will be able to expand your personal horizons. 8. There are plenty of great festivals to enjoy in Canada. No matter what your music tastes happen to be, there is a festival waiting for you in Canada. Montreal offers Ossheaga, which provides you with the chance to experience rock and alternative tunes. EDM is featured in Ilesoniq. There are also significant festivals held in Toronto each year that bring out some of the best stars in their genre each year. 9. The employment market in Canada is continuously strong. The approach that Canada takes to employment is nothing new. They continue to welcome new arrivals each year, creating a market which offers a lot of strength for people who are pursuing a career. 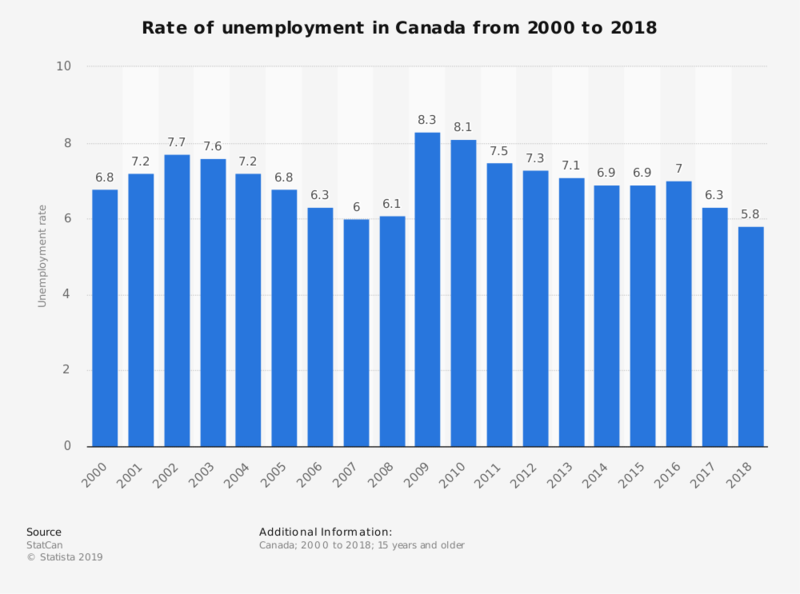 When many countries were encountering some of their worst unemployment rates in decades from 2007-2009, Canada remained relatively unscathed because of its welcoming policies. There are still limits about the types of jobs that qualify for work visas, but you will generally find that there are openings which are suitable to your talents and skills after moving here. 10. You will find that Canadians are some of the nicest people in the world. Although there are always exceptions to every rule, most Canadians are warm and welcoming – even when they know you are a transplant or tourist. People will stop to have a chat with you in the grocery store, while you’re taking a walk, or even during a trip to Walmart. There is a definite sense of community that you will experience in this country that is a refreshing change of pace if you come from an environment that values independence above everything else. 11. It provides an exceptional system of social supports. The Canadian government mandates a leave and benefits component for new mothers. Depending on how many hours are worked and the length of employment, you can take up to 52 weeks of leave from your job, and then the employers are required to accept workers back into their position or an equivalent at the same rate of pay and benefits. You can receive paid leave through the nation’s employment insurance plan of up to 15 weeks. Mothers and fathers can take 35 weeks of parent leave after an adoption as well, up to a maximum benefit of $562 per week. 1. Healthcare can also be a distinctive disadvantage for some people in Canada. Rural provinces sometimes struggle to make healthcare options available to residents because there is only so much money to go around. There may only be 1-2 providers for an entire community because it is such a rural area. Although you can fly to the nearest caregiver for your situation in that circumstance, there may be a delay in some of the care that you receive. Long-term care, specialist needs, and elective procedures can sometimes have long wait times. If you live in a large urban area, then you might encounter this issue as well. 2. Canada has more government involvement in your daily life. Most Canadians feel like their government regulations tend to be an overreach into the decisions that they can make about their lives. In almost every survey, local residents say that they would prefer it if there were fewer rules to follow. Government interference in their lives is somewhat of a necessity, but is it really necessary for regulations to government how much trans-fat can be in a restaurant meal or how rare a burger or steak can be cooked? If you don’t mind these issues or think they are beneficial, then this disadvantage won’t seem like much of a problem. If you prefer to make your own choices, then this issue could be a definite setback when moving. 3. Living in Canada is more expensive than you might realize. There are much higher costs that you will face when living in Canada when compared to living in other countries. Food is a significant expense. Purchasing chicken will cost roughly twice what you would pay if you were buying the items in the United States. Clothing is also about 20% more expensive, even after accounting for the beneficial exchange rates that exist. Depending on where you choose to live in the country, the differences could be even higher. Some households can manage their costs and come out ahead, but most find that the costs are comparable at best to their current situation. 4. Going through the immigration process can be challenging. Canada has one of the toughest sets of immigration laws in the world today. Only 250,000 immigrants are permitted to move each year – and that figure includes any refugees that the government chooses to support. Even if you only want to work in Canada for a short time, the fees can be upwards of $1,500, making it less advantageous to find a job. Skilled workers are always a priority, but if you struggle to prove that you’d add value to the economy, earning permission to move permanently could be a struggle. You can avoid this disadvantage if there are direct family members who are already living in Canada or are Canadian citizens and can sponsor your application. 5. You must consider the weather before moving to Canada. Unless you live right along the coast, the northern location for Canada means that it offers a colder climate than what you will experience in other countries around the world. Winter is a real thing here, and it can last for up to 8 months if you live in the northern provinces or territories. Some might argue that the snow enhances the natural beauty of the landscape, but that doesn’t really matter if you can’t even make it outside to enjoy it. The average high temperature in Yellowknife, NT in the month of December is 0 degrees. That drops to -2 when you reach January. The average low during these months will range from -13 to an incredible -17. You can reach the 70s in July on the Fahrenheit scale, but you must expect to bundle up throughout most of the year. 6. Most people think of Canada as being Toronto, Vancouver, or Montreal. If you decide to live outside of these three significant metro areas when moving to Canada, then you may discover that accessing modern resources may be somewhat challenging. You can always order items online for delivery, but this privilege may come with added tariffs or taxes depending on where the point of origin for your shipment happened to be. If you enjoy going to concerts or attending entertainment events, your options are limited outside of these cities as well. 7. There is a serious debate about the smell and structure of Canada’s currency. Canada began to move their paper currency to polymer-based bills in 2011. Over the next couple of years, they introduced $5s and $20s to the new format to get them into nationwide circulation. The change has created a debate that has been just as passionate about the looney and the tooney, which are the $1 and $2 coins that you receive instead of bills. Some residents have complained that the bills get sticky when they get hot, with some even melting. Then some people believe that they smell like maple syrup. Dale Alexander, who is a senior consultant at the Bank of Canada, says that there are no secret recipes that offer smells to the money. “The bank has not added any scent to the new bank notes,” he told ABC News in 2013. 8. The exchange rate for Canadian dollars is not favorable. With the exception of 2011-2013, the exchange rate for Canadian money has not been favorable compared to other developed countries around the world. The current exchange rate with the American greenback has 1 Canadian dollar equaling $0.75. That can make it rather difficult to shop online for things unless you are using a retailer that is based domestically. Some residents try to get around this issue by holding accounts that contain Canadian and American dollars, and then they shop across the border when they can. Point Roberts, which lies south of Vancouver, earns a legitimate income by managing mailing boxes for Canadians to reduce their liabilities in this manner as well. 9. It can take some time to get settled after moving. Depending on your field of employment, it can sometimes be a struggle to find a position if you do not have any Canada-specific work experience. Some things become luxuries after your move as well, such as renting a house or having funds to eat at restaurants most nights of the week. If you are willing to put in the time to get settled, then living in Canada can become a great decision. It just might take a few years to get there. The pros and cons of living in Canada seek to balance the benefits of creating a mutually-beneficial social structure for education and health while still maintaining components of a free-market economy. There are definite advantages to consider in the cost of living for some, but there are also more regulations that you must follow in your personal and professional life. That is why a complete evaluation of each key point is necessary before finalizing your decision to pursue a work visa.